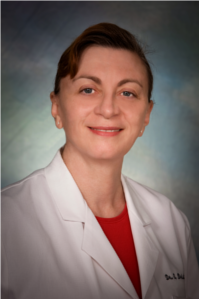 Evelyn Brister, M.D.B.S., Board-Certified OB/GYN to our Staff! Graduated The University of Akron: M.S., Kent State University;M.D., Northeastern Ohio Universities College of Medicine (NEOUCOM). Obstetrics and Gynecology Residency Training: Aultman Hospital, Canton Ohio. She has served patients in our area for over twenty-years. She is a female physician that recognizes that a woman has special health concerns throughout her life. She offers compassionate, skilled medicine for Women of All Ages! Welcome Dr. Brister to our team!! !